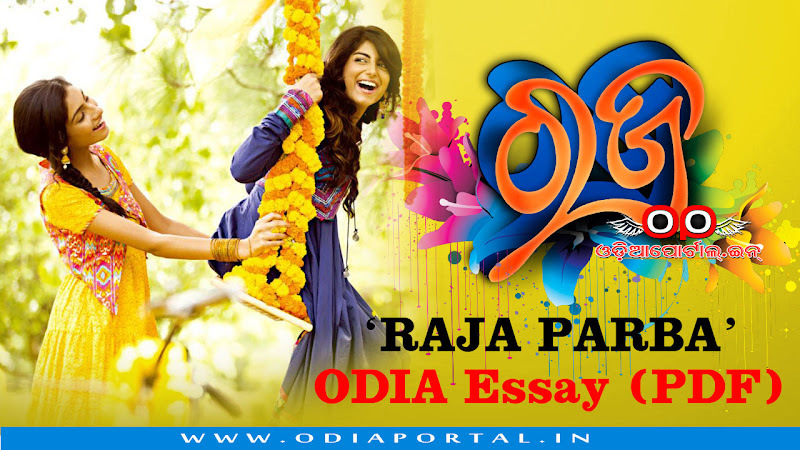 The following Odia Essay in 250 words titled "Raja Parba" for Secondary school students. In this essay you will know legend behind raja parva, the significance of Raja Parba. You can download PDF file of this essay provided below. 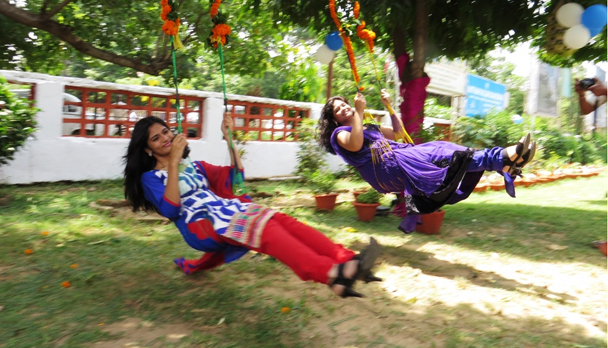 ରଜଦୋଳି ରଜପର୍ବରେ ଆଉ ଏକ ବିଶେଷ ଆକର୍ଷଣ । ଝିଅମାନେ ଦୋଳି ଖେଳିବାକୁ ସତେ ଯେପରି ରଜପର୍ବକୁ ଅପେକ୍ଷା କରିଥାଆନ୍ତି । ରଜ ଦୋଳି ଗଛ ଡାଳରେ ବାନ୍ଧି ମନ ଆନନ୍ଦରେ ଦୋଳି ଗୀତ ଗାଇ ଖେଳନ୍ତି । ସେମାନଙ୍କ କଣ୍ଠରୁ ଭାସିଆସେ..